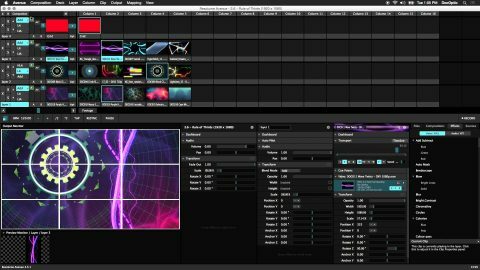 LPM 2018 Rome advices that Resolume Arena Workshop is come back! Resolume Arena Workshop comes back to Live Performers Meeting! This year, the Resolume Arena 6 workshop introduces to the participants the use of the new released version of the Resolume Arena Media Server software, the most used tool for managing audio visual content at performances, stages, interactive installations. Starting with a basic interface explanation, you will progressively get to learn all the features of the software and get professional suggestions to use Resolume Arena 6 at its best. You will also get a deep review of all the new features that this new version brings with. During the workshop you will be asked to practice and try by yourself what you are learning. The next step of the class will be focused on the Advance Output including the video mapping and LED mapping techniques using Resolume Arena 6. At the end of the workshop, the participants will be also encouraged to experiment a video mapping on an “object” of their choice. Participants will be required to bring their own laptop, computer cables for connecting the projector and pc/laptop, and possibly their own projector (if they have one). They may also bring any hardware controller. To bring their own video footage for projection is not required, but welcome.